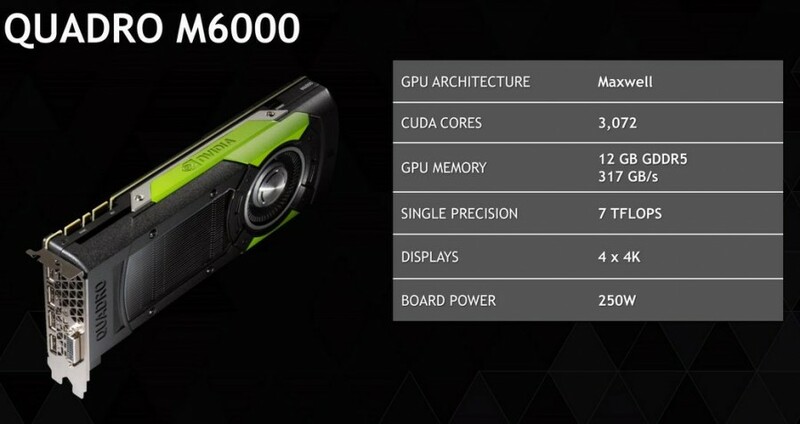 NVIDIA has officially introduces Quadro M6000. Our leak from January was pretty accurate when it comes to Quadro M6000 specs. It features the newest installment in Maxwell lineup called GM200. Just like TITAN X, it has full chip with 3072 CUDA cores, 192 TMUs and 96 ROPs. The boost clock is rated at 1114 MHz with the memory set at 6.6 GHz. Quadro M6000 has 12GB GDDR5 memory across 384-bit interface. Unlike TITAN X, Quadro M6000 is equipped with one 8-pin power connector, but TDP is rated at the same Wattage of 250. 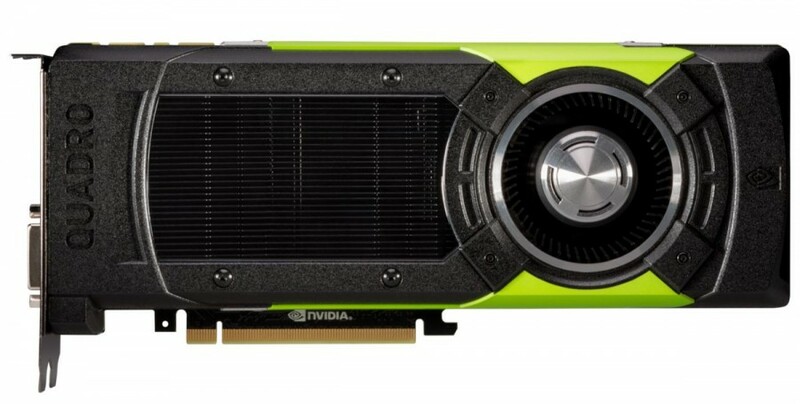 Quadro M6000 is kept in black colors, but NVIDIA decided to add some green flavor to distinguish workstation from gaming interpretation of Maxwell GM200. 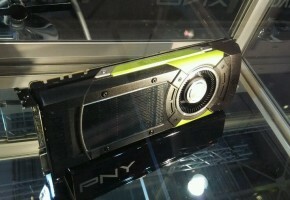 It doesn’t seem like NVIDIA is currently planning to replace other Quadro models (like K5200). The GM200 architecture is much slower in double precision computing, so not everyone may appreciate this change coming from Kepler. Tom’s Hardware already published Quadro M6000 review, so check it out before purchasing. It’s worth noting though, that the price has not yet been disclosed.